Treat yourself to a delicious vanilla cupcake flavoured elixir, a remedy for the weakness known as the 'sweet tooth'. 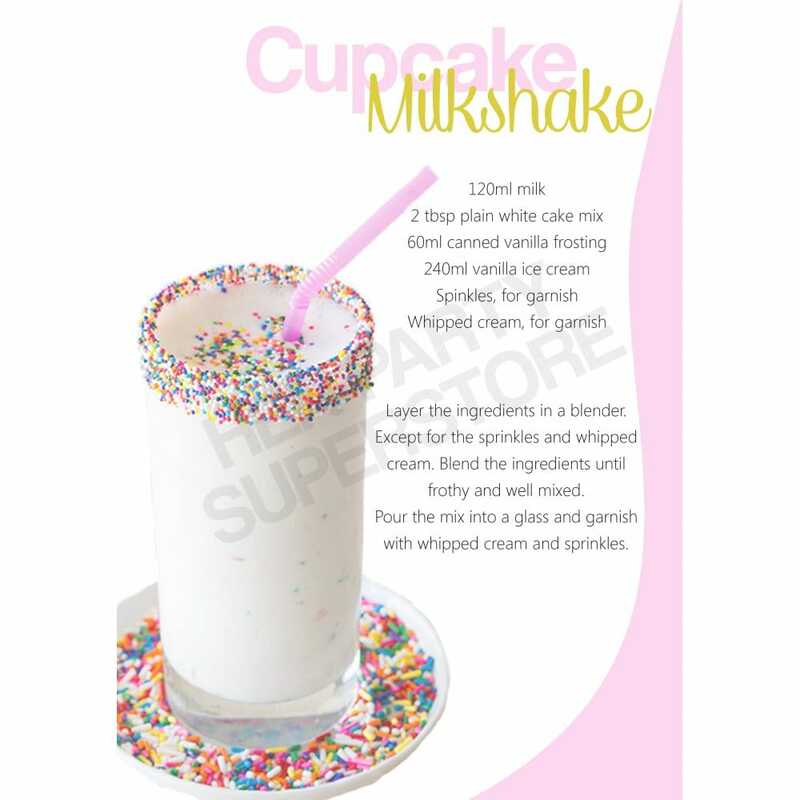 This milkshake is a cupcake in a bottle, consisting of blended cake mix, vanilla frosting and more. Enjoy this sweet confection, complete with sprinkles around the rim of the glass, for a characteristic cupcake look.